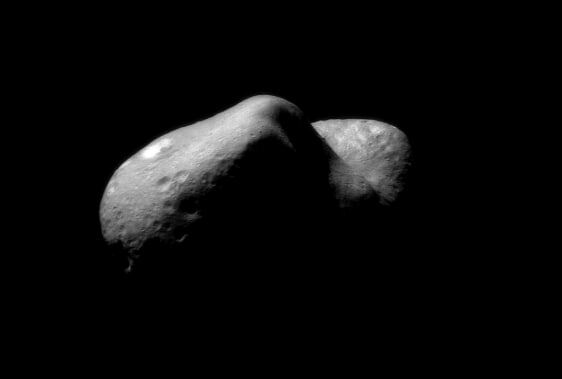 NASA’s NEAR Shoemaker spacecraft image of near-Earth asteroid 433 Eros, taken in February 2000. The probe landed on the space rock a year later. Such objects are being eyed for their unique resources to help fuel a space economy.